"M99 0" — A coded message appeared on Tommy Dorie’s cell, not that unusual from his secrecy minded scientist father Nick. Whether it was a scavenger hunt, a “pop quiz” or just a test to see if he were following orders, when Nick gave him a coded order, he was expected to follow it, even if it meant he had to miss out on an important date with his girlfriend. But this time, things were puzzlingly wrong. His laptop was missing, there were strange messages on the answering machine, and he was ordered to go hide on the family’s sailing boat. 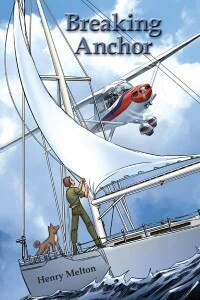 Suddenly, it was up to Tommy to sail into downtown Chicago on the river and rescue not just his father, but the others that had been caught between a secret too big to keep, and the company that would do anything to keep it. All he had was the family yacht and a stray dog, and the training that had been drilled into his head all his life. But nothing was quite what it appeared to be — not the yacht, nor the dog.